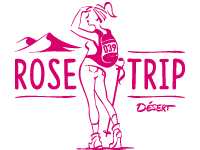 You work in a company and wish to participate in the Rose Trip trek? The idea of a nomad hike in the Moroccan desert motivates some of your employees? Take part in this adventure, reveal the pioneers of your company and register in the Club Entreprises! What is the Club Entreprises? The Club Entreprises gathers women who enrol as part of company members. Companies finance 100% of the costs. Several teams from the same company can participate providing that the company finances all the costs. Who is the Club Entreprises made for? The Club Entreprises is made for all the companies, no matter how many employees there are. Company sport associations and interprofessional women associations can also participate. What are the registration conditions? The company finances 100% of the costs. To take part in the adventure, discover the registration process. Which advantages for your company? Registering in the Club Entreprises offers many advantages for your company. Thanks to the all inclusive trek commitment pack (flights excluded) you will be able to register your team without having to worry about logistics and organization. The team of the Rose Trip trek will take care of all the organization details for your company members. The registration for the three team members as well as other included elements. Personalized race number, logo on the Rose Trip website under the Club Entreprise webpage, special Club Entreprises trophy. In Morocco, the transfers to and from the meeting point (indicated by the organization members), Errachidia. Rental of a GPS odometer and a geolocation device (1 per team). Your company can also benefit from a discount if several teams take part in the adventure. Registration fees get lower and your chances to win higher. The Rose Trip trek has a special Club Entreprises Trophy. Your employees can register in the OPEN or OPEN + categories and will try to put your company into the spotlight by winning the trophy. A special ranking will be attributed to the companies and you will be able to follow your employees’ performances live. Learn more about the special ranking.